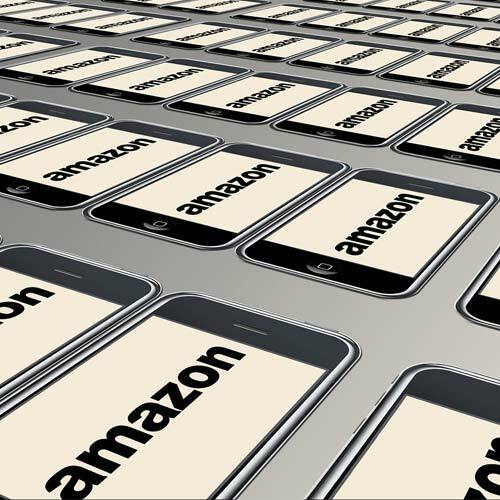 Nowadays Amazon, Jet and Wal-mart are most consumers “go to” when purchasing products. We understand the consumer researches the products online and ultimately end up at the big online stores. But do they really get the best information or even the cheapest price? This is often not true. Not Just Vacs is less expensive on Dyson, Riccar and Sebo vacuums, Necchi sewing machines and many other items. If you are looking for a Miele vacuum, Amazon and the large internet sites are not allowed to sell the HomeCare line that is only available in vacuum stores such as Not Just Vacs. The HomeCare line comes with a 5-year warranty and 10 years on the motor. Other Miele vacuums have only a 1-year warranty and 7 years on the motor. Many homeowners use Consumer Reports to research products they need to buy. Consumer Reports tests vacuums that are brand new, presumably for a short period of time. A $99 vacuum may clean carpet as well as a $499 vacuum when brand new. Consumer Reports doesn’t test the vacuums after they have been used for a month. We find that cleaning effectiveness of inexpensive vacuums declines rapidly after a month or so. Not Just Vacs offers quality products and the most up to date knowledge and experience in the industry. We not only know and use the products, we offer advice and information or comparable products based on your needs. We are authorized dealers of many popular portable and canister vacuums including Dyson, Miele, Riccar, Sebo, ProTeam, Sanitaire, Royal and Fuller Brush. Authorized techs are on site to repair, perform general and long-term maintenance and warranty work on machines. Consumer Reports may report on a lot of things but they do not test durability or rate manufacturers based on maintaining a supply of parts for the expected life of a vacuum. Our knowledgeable techs know which vacuums hold up and which manufacturers maintain a parts supply for 10 or more years. When talking to customers who bring in vacuums bought on-line for repair, we often learn and tell them that they bought the wrong vacuum. We can’t make a vacuum work for an application that it wasn’t designed for but we can guide the customer to find the best vacuum for their needs. When a customer comes to Not Just Vacs to look for a vacuum, we ask a lot of questions about conditions in the house, family members who suffer from asthma or allergies, physical limitations of persons using vacuum, past experiences with vacuums, personal preferences and price range. We then show several models that meet the customer’s needs the best. 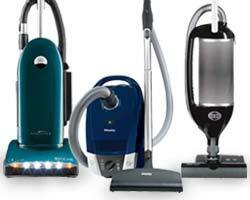 Unlike other vacuum stores, we don’t automatically go to the most expensive vacuum. We offer product demos and encourage, the customer to test drive the vacuum. We give the customer a complete experience, the kind of thing that is missed in online transactions. The people over at Business.com say, “When customers buy in person, they’re willing to give something up: time, the money and effort it takes to travel to a store and the energy required to interact—because they believe there is some unique “payoff.” That payoff is what Not Just Vacs offers, a complete customer experience. Buy local and support your community. Our showroom is open M-F 8am-5:30pm and Saturday 10am-3pm. Check out our reviews on our Facebook and Google Plus pages.